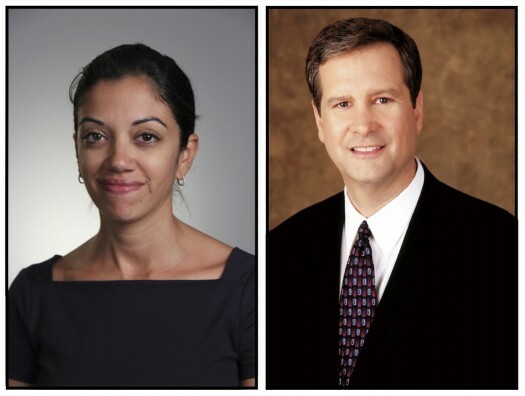 “All Things Considered” NPR newscaster Jamie McIntyre and India studies expert Persis Khambatta will speak Tuesday, Jan. 21, at UCF about the growing influence of young people in south Asia. The event, “One Billion Rising: The New Face of South Asia,” will be 3 p.m. in the Pegasus Ballroom of the Student Union. The forum, organized by a partnership of the Global Perspectives Office and The India Center, is free and open to the public. As the use of new media expands in South Asia, the large population of young people has a prominent impact on the social and economic structures of the sub-continent. McIntyre will discuss how new media is used and how its use will impact this growing population. With a focus on India’s economic and social development, Khambatta will discuss how this new generation will shape the region. McIntyre’s journalism career spans four decades including working with NPR, CNN and FOX. In addition to his current work with NPR, McIntyre teaches as an adjunct professor for the Philip Merrill College of Journalism at the University of Maryland, College Park. Previously, he was the host and senior writer for an Emmy award-winning news show, Capital Edition, on WUSA-TV, in Washington. Khambatta is a fellow with the Wadhwani Chair in U.S.-India Policy Studies at the Center for Strategic and International Studies. Her principal areas of research include India’s economic development, political affairs, foreign aid, energy and infrastructure development, education and skill building, innovation, and increased access to opportunities for India’s youth. In addition to the UCF Global Perspectives Office and The India Center at UCF, sponsors include the UCF Diplomacy Studies Program, UCF Middle Eastern Studies Program, UCF Global Peace and Security Studies Program, The India Group, Orlando Area Committee on Foreign Relations, Chastang Charitable Foundation, CliftonLarsonAllen, The Burnett Honors College, UCF Political Science Department, UCF LIFE and the Global Connections Foundation.